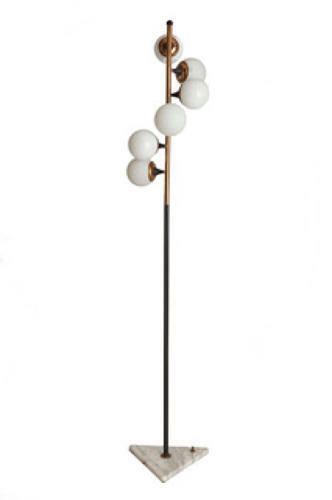 Italian floor lamp from circa 1960. Black laquered and brass stem on a triangular marble base with 6 spherical glass shades. (The marble base measures 35 cm by 35 cm).